Addressing guests properly adds to the formal presentation of your wedding. 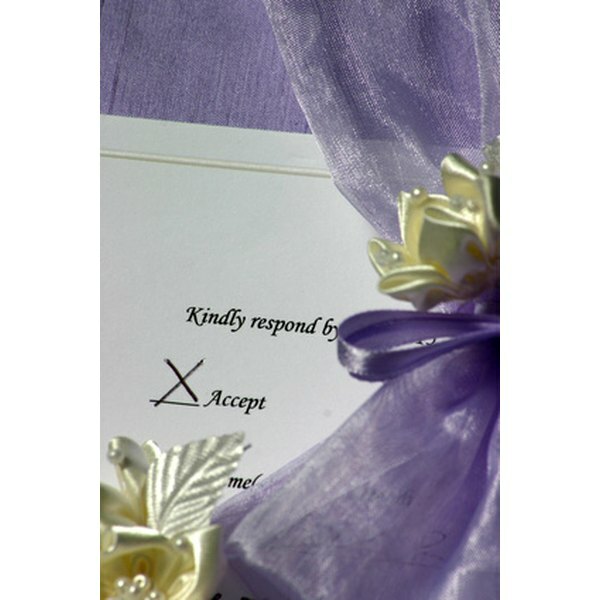 1 How Do You Address Wedding Invitations to the Officiating Pastor Conducting the Service? Although traditional etiquette has evolved over time, there are still certain guidelines that apply to addressing guests in wedding invitations. Addressing people properly will give the impression that you have taken the time to regard your guests with common courtesy and that your behaviors are kind and respectable. Address unmarried women with "Miss." "Mrs." applies to married women who have taken their husband's last name. "Ms." is used in the case where the marital status of the individual is unknown. 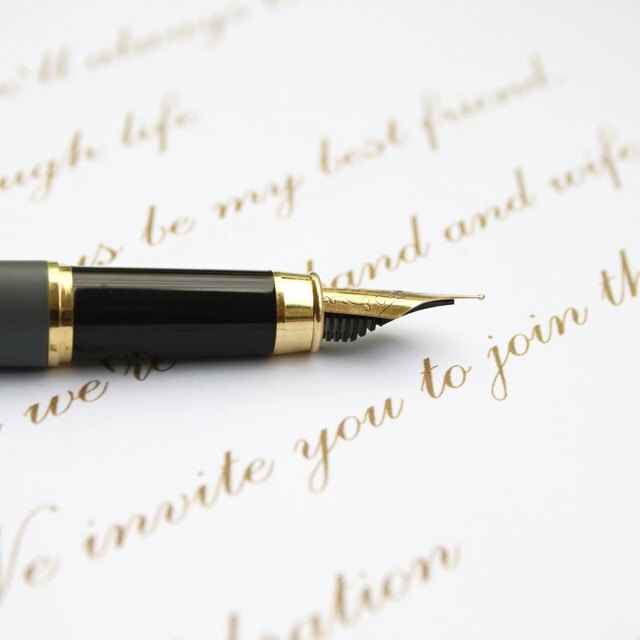 For a divorced woman who uses her maiden name, address her as "Miss" or "Ms." For a divorced woman who uses her married name, address her as "Mrs." If you expect the invitation to include one other guest, include "and guest" after the proper style of address. Address children under the age of 18 in the invitation card only by their first name, in the order of the oldest to the youngest. You do not have to address them on the outer envelop because children under 18 would be accompanied by other adults in the family. If the children are over the age of 18, send them separate invitations and address them as "Mr." or "Miss," even if they are still living with their parents. For married couples, address them as "Mr." and "Mrs." with his last name. If the couple is married and the wife retains her maiden name, address them also as "Mr." and "Mrs." Address the wife with her maiden name instead of his last name. To address an unmarried couple living separately, address him as "Mr." and her as "Miss" or "Ms." For an unmarried couple living together, address her as "Miss" or "Ms." and him as "Mr." Arrange the name order alphabetically by their last name. For a same gender couple, address them as "Mr." separately. If the same gender couple is female, address them as "Miss" or "Ms." with their individual last name. When addressing a judge, use "The Honorable" on the envelop and "Judge" in the invitation card. Address a medical doctor as "Doctor" and a Ph.D. recipient as "Dr." When both invitees are doctors, use "Doctors" before their name. When only the female is a doctor, address her as "Doctor" and him as "Mr."
When addressing a male officer, whether he is active or retired, use his title. For instance, address the Admiral and his wife as "Admiral and Mrs. Thad Allen." If addressing a female officer, use her title and then address him separately. An example would be "Colonel Oveta Culp Hobby and Mr. William Hobby." Avoid using nicknames or abbreviations. Initials are acceptable if you do not know a guest's given name. Write out the address in full. This applies to the street numbers, the cities and the states. Connie Lai began writing professionally in 2009. Her articles now appear on eHow and Answerbag. She provided editorial review of rule 26 expert reports in her previous position. Research includes metallurgical and industrial safety standards. Lai received her Master of Business Administration from Penn State, and bachelor's degrees from University of California-Berkeley in architecture and legal studies.